The Afghan government claimed today that a provincial cricket match was hit by missiles fired from an MQ-9 Reaper drone, killing all the members of one team and two of the other, as well as an umpire. A USAF MQ-9 Reaper drone, of the kind alleged to have carried out the attack. 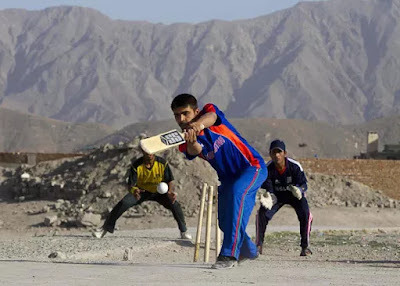 Cricket is a game popular in Afghanistan, which recently acquired Test match status from the International Cricket Council. The match, between the Kandahar Mujahideen and the Herat Poppy Farmers, was for the local championship, and was underway at the new Hekmuddin Gulbedyar stadium, built with US assistance. 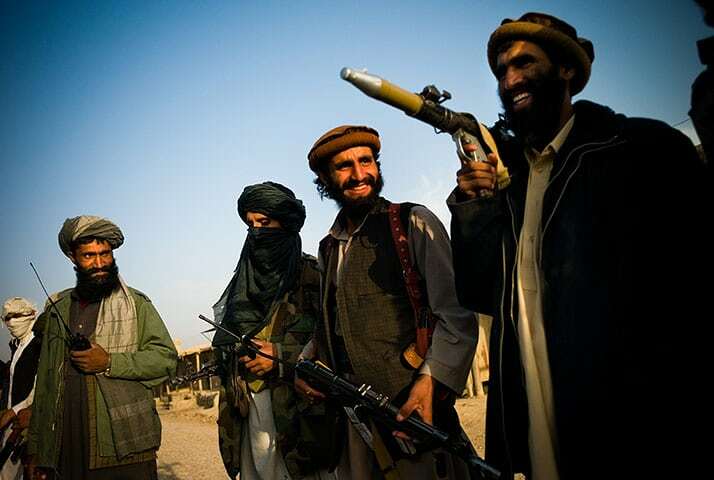 The drone, Afghan officials say, fired two Hellfire missiles at the playing field just as one of the batsmen had struck a six, incinerating five of the players – the two batsmen, the bowler, the wicket keeper, and a fielder – and one of the umpires. As the remaining players rushed to help the dead and injured, the drone fired its two remaining Hellfire missiles at them in a so-called “double tap” strike, killing all of them with the sole exception of the surviving umpire, who was badly injured. He was taken to hospital, but it was discovered that the hospital did not exist, though it had been under construction for fifteen years. The current Afghan government was forced reluctantly to agree. “This unfortunate incident might possibly be a breach of regulations on the part of our masters...I mean our allies in the ISAF,” a spokesman for President Ashraf Ghani mumbled at a press briefing in Kabul. ISAF is the acronym for the US led International Security Assistance Force which protects Afghanistan from the Taliban. “We will conduct an investigation, and if the reports are confirmed, we will demand a payment of $1 million to each of the deceased. Since they are deceased, the money will be of no use to them, but I’m sure we’ll find alternative uses for it,” he added, licking his lips hungrily. An attempt was made to contact the Afghans attacked for their comments, but they were all too dead to respond. Its been so long since I read you. I've started writing again and your link is right there on my page ... I forgot that I need to engage my brain before doing so though. I was several sentences in and squirmy before I realized ... satire. Then I was so excited I'd figured it out that I forgot I wasn't posting as me but as "unknown goo" (which is all that shows in the "comment as window - which may be fitting, actually) and so I had to sign in as myself or at least one of my selves and come back. Yes, the brain still is not fully cognizant. Peace. Man, old friend, I really enjoy your work. How you can tell a story from the various points of view is amazing to me. You write as a woman, an alien being, even a whale. This one is excellent. I live in Louisiana and have for the last 17 years. You captured the way of talking of so many southern asshats perfectly. Oh, as this stadium was built with the assistance of the us of A, or as I've been calling this country of my birth since W. Shrub invaded Afghanistan and Iraq, 'Merikkka, it was only fitting that this same 'Merikkka blew it to hell and gone. Yes sir boy, the only good terrerist is a dead terrerist! And don't you folks fergit that! OK, sarcasm OFF. I like this one Bill, thanks, made my day and I sure as hell needed some good satire today. That was some awesome satire. It took me a moment to catch on (engaging BOTH brain cells)as it is difficult for an American to imagine why anyone would not want to be like us. Covfefe!